One of the fun aspects of homeschooling is exposing my children to different types of music. And we love to dance! Yes, we are one of those crazy homeschoolers that you hear about. 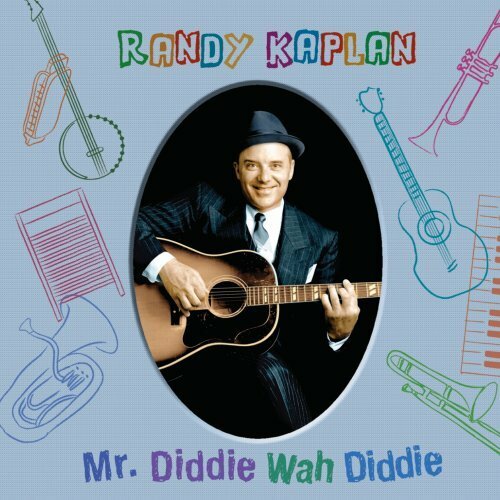 MyKazoo Music released a Kid-Friendly musical romp with the Superheroes of American Blues History: Randy Kaplan’s, Mr. Diddle Wah Diddie album. This CD is absolutely fun and hilarious for the whole family but is designed for ages 12 and under. We moved the coffee table and my children were dancing til they dropped. There are 17 songs and many times we listen to the same song over and over again. We have also enjoyed the hip CD in the car. I love watching my 2 year old dance to the blues in her car seat. Randy Kaplan’s CD includes child friendly versions of country blues and ragtime numbers from the 1920’s, ’30s, and 40’s. The new CD, featuring extensive liner notes, will expose your children to America’s great musical heritage. He reworked the lyrics to all the popular country blues and ragtime numbers to maintain the young audience, yet keeping the humor that adults can still appreciate, too. Various segments of the album are introduced by the craggy voice of Lightnin ‘ Bodkin, a guy who has seen it all. Lightnin’ informs listeners about the Father’s of Blues, who were sharecroppers, cotton pickers, levee camp workers, tenant farmers, muleteam drivers and railroad men by day. When the sun went down, the hard workers became superheroes. They sang their songs and played their guitars at juke joints, picnics, roadhouses, barrelhouses and house parties, Lightnin’ tells the audience. My younger children laughed up a storm while dancing and learning about their great American musical heritage. Listen to a video, Ice Cream Man Rag! Play the FREE Ice Cream game! We can’t wait for his newest CD, Huh – uh! MyKazoo Music wants to give one The Curriculum Choice readers their very own CD, Mr. diddle Wah Diddle. I received a CD in exchange for my honest opinion. No other compensation was given. This looks like something we might use next year for American History. Thanks!